Although valerian grows wild all over Europe, most of the valerian used for medicinal extracts is cultivated. The root is used in herbal medicine preparations. A combination of passion flower and valerian has been shown to reduce symptoms in people suffering from anxiety. 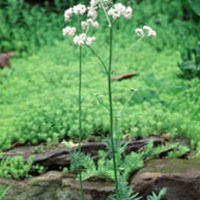 Valerian has been historically used to relieve pain. The Greek physician Dioscorides reportedly recommended valerian for a host of medical issues, including digestive problems, nausea, liver problems, and even urinary tract disorders. Use of valerian for insomnia and nervous conditions has been common for many centuries. By the 18th century, it was an accepted sedative and was also used for nervous disorders associated with a restless digestive tract.